Welcome to PRASM: Green Is A Terrific Color to Welcome in the Spring Season!! Green Is A Terrific Color to Welcome in the Spring Season!! One of our primary themes at PRASM has been the focus of color and the psychological and emotional effects they have on us. Today, our focus is on the color green! One of the primary and most abundant colors in nature is green. When you gaze outside your window, with the exception of looking up at the sky and seeing blue, you see green everywhere! This isn't a coincidence in nature, especially when you tune into what the color green stands for and the energy it promotes. Green is the color of peace and universal love. This is one of the reasons that taking walks outdoors is so calming for our spirits and physical bodies. Green resets a broken spirit or a broken heart -at least for a time. It's up to you to maintain that peace of mind, however. Green is also the color of abundance. This makes sense as well when you think about how the color green is prominent in the natural world. Wear this color when you want to feel in tune with the world around you and when you need to be filled with an abundance of love for all. This abundance of universal love and peace, then draws in more of what you need and desire for yourself. Green is also the color of transformation. When you're looking to make a drastic change in your life, let this color work its magic. Toads and frogs aren't green by coincidence. If you study the essence of the frog, you see that it is a primary symbol of transformation and evolution. This is another color that I feel is underrated in the world of fashion. I, personally, don't see a lot of it incorporated in style trends. But perhaps this can change when we become aware of just how important green is to our world and our physical, spiritual, emotional and psychological well being. So what are you waiting for? Adorn or surround yourself in something green today! It doesn't matter how much or how little green you have, just mentally tuning into the color is the way to gain the benefits of it. 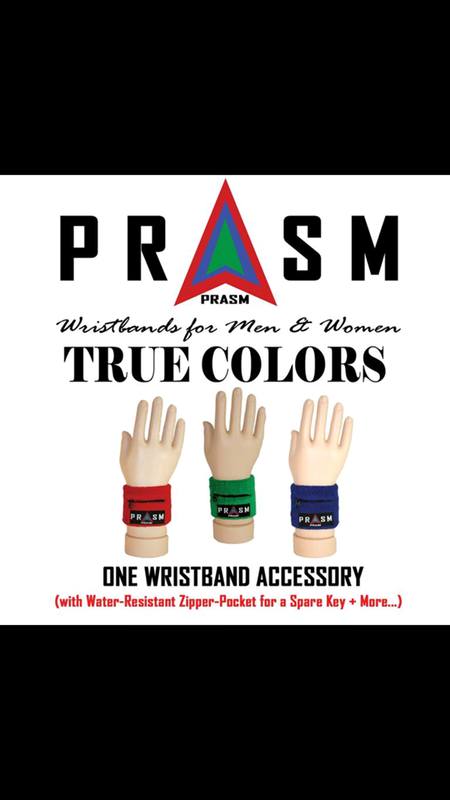 To shop the color-style PRASM collection, visit our online store at www.PRASMCLOTHING.com. We specialize in color-style socks and belts for men and women. And of course green is featured in our collection. Have a look! Wishing a wonderful rest of the week to all of our readers!